Attwood presents the most energy efficient LED navigational lights in the world. Through the use of proprietary optical design techniques, we've optimized our lens design to harness nearly 90% of all light being generated by the LED. In doing so, our line of 3500 and 5500 series navigational lights exceed US Coast Guard requirements with the fewest and lowest watt LEDs of any navigational light manufactured today. 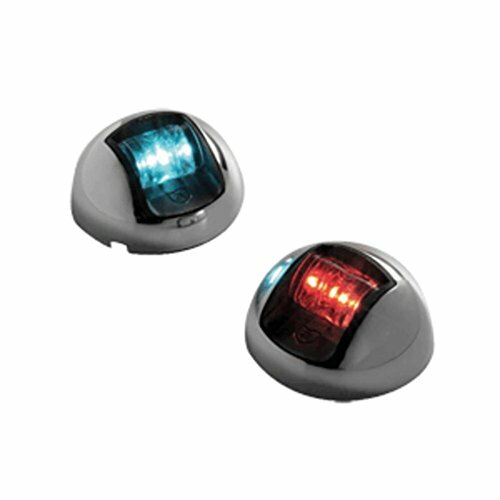 Less energy used by navigational lighting means more energy available for powering your boat and enjoying time on the water. If you have any questions about this product by Attwood Marine, contact us by completing and submitting the form below. If you are looking for a specif part number, please include it with your message.